The Trump Administration recently enacted — unilaterally, via executive fiat, and without congressional legislation — a full-out ban on so-called "bump stock" devices that can be affixed to modern sporting rifles. Today marks the first day President Donald Trump’s "bump stock" ban goes into effect. A bump stock is a modification device that allows semi-automatic weapons to harness the recoil energy from a shot to give the firearm the ability to fire like an automatic firearm. Under the current ban, owning, buying, selling, or transferring a bump stock is illegal, USA Today reported. Owners of bump stocks must destroy or return their bump stocks to the Bureau of Alcohol, Tobacco, Firearms and Explosives (ATF) with no compensation or face felony charges, reported Knox News. A violation could include a $250,000 fine in addition to a 10-year prison sentence, USA Today reported. The Supreme Court denied a request Friday to temporarily block the Trump administration's rule banning bump stocks. In a brief, unsigned order, the court denied the request from gun rights groups to place the regulation, which took effect April 3, on hold for the plaintiffs who are challenging the ban in lower courts. It is the third time justices have been asked to issue such an order. Justices Clarence Thomas and Neil Gorsuch said that they would have voted to put the rule on hold as it applies to the challengers. Thomas has repeatedly written that lower courts are snubbing the rights of gun owners. Now, one leading retailer of "bump stocks" is initiating fresh legal action against the Trump administration. As Dillon reported , "RW Arms, a leading retailer of bump stocks in Fort Worth, Texas, turned over its inventory of 60,000 bump stocks to ATF to be 'shredded and recycled under the supervision of ATF agents.'" Now, The Fort Worth Star-Telegram reports this week, RW Arms is suing the Trump administration. RW Arms claims that the "bump stock" ban violates the Fifth Amendment's Takings Clause, which ensures that "private property [shall not] be taken for public use, without just compensation." A Fort Worth-based firearms dealer has filed a federal lawsuit against the government after having to destroy more than 73,000 bump stocks in compliance with a Trump administration order that took effect last month. RW Arms filed the lawsuit claiming the Fifth Amendment takings clause, which bans the government from seizing private property for public use without just compensation. The lawsuit also argues that the bump stocks have been long-defined by the ATF as a firearm part and therefore are not regulated as a firearm under the Gun Control Act of 1968 or the National Firearms Act of 1934. "Between 2008 and 2017 the ATF also issued many classification decisions concluding that certain other bump-stock-type devices, that did not rely on springs, were not machineguns," the lawsuit says. 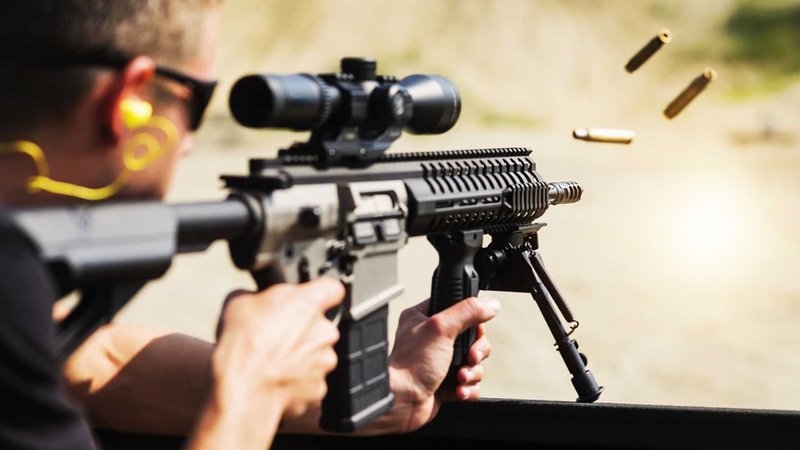 "The ATF indicated that semiautomatic firearms modified with these bump-stocktype devices did not fire 'automatically,' and were thus not 'machineguns,' because the devices did not rely on internal springs or similar mechanical parts to channel recoil energy. The ATF classified these bumps-stock devices as firearm accessories which are not subject to regulation." This will be a fascinating lawsuit to watch unfold.